Grab your Making Sense of Affiliate Marketing coupon: Use the code FALLSALE2017 when checking out here. Coupon expires October 30, 2017 at 11:59pm. Is Making Sense of Affiliate Marketing worth the money? This is a common question I’ve seen asked on blogging groups all over Facebook and many times in my own inbox! I’ve been meaning to write this review for months (ever since I took the course in October), but with the time management of a lazy dolphin, that hasn’t quite played out… *dramatic pause* …….. until now. 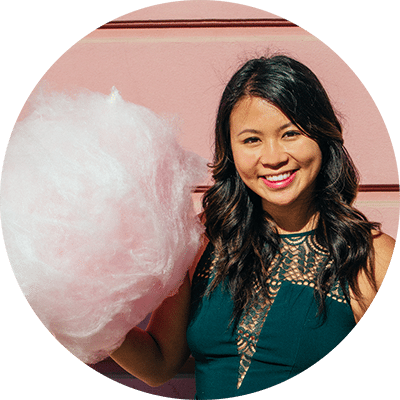 Making Sense of Affiliate Marketing is the online course where Michelle dishes out on her secrets and methods which have allowed her to earn over 50k in affiliate (read – passive!!) income a month. The course costs $197 in one go, or two payments of $105. Like you, I remember making an ugly face and thinking “ugh, really? But Google is free.” At the time, I had never purchased a course before, and was very certain I was a great knowledge deity capable of learning everything on my own. However, affiliate marketing swooped in as a massive slice of humble pie, and proved to be that code that I just couldn’t crack. So yes I caved, after scouring the web for the best course out there, I came across Making Sense of Affiliate Marketing, and, with a very skeptical shrug, I pressed Purchase. It was definitely one of the best decisions I could have made for my blog. In this post, I’ll tell you why, but also why I don’t think it’s a good fit for certain bloggers. Full disclosure: I do get a commission if you choose to buy the course through my link, BUT you know me, I’m no sugar-coater. I firmly believe that this course is amazing if you’re a good fit for it. So that’s what this review is all about – determining whether or not you need the course, and if it will bring genuine value to your blog. The course is text-based. There are no videos involved, so if you prefer video courses, this may not be a good fit. Prior to purchasing the course, I had already done a lot of Googling and self-research. Remember, I was hell-bent on learning everything on my own, so I came into the course with a pretty thorough understanding of what affiliate marketing was, how it worked and basic strategies to use. To be honest, because of this, I did start the course feeling like I already knew much of the content. This is because it’s structured to assume little to no experience with affiliate marketing, hence they start with the very basics. The most common complaint I’ve heard about the course is that intermediate-level bloggers might feel like the content isn’t advanced enough, which was my initial thought as well. BUT, once I read through the material, as we got deeper into the course and the other modules, I began having little lightbulb moments. The material of course got more advanced as we went, and I began to learn new strategies. Even with info that wasn’t necessarily “new”, the course framed it in a way that got me to think about it differently, and for once, I actually felt like I was finding the missing pieces to my affiliate marketing puzzle. As I worked through the course (completing the worksheets), I began to put together an action plan and no joke, for the few weeks after, I kept getting genius ideas (in the shower, mostly) on how to implement affiliate marketing on my blog. Best feeling ever. Now you must be curious about results. Well, within only a week (before even finishing the course), I had upped my affiliate income on this site by over 4000%. Before you freak out, let me confess that the most I’d ever made before was a measly $1.84, but going from pretty much nothing to 40x that in less than a week? Dang! In about 30 days, I made over $1500 in affiliate income, and have consistently been over $500 a month since then. I can’t lie – I do a frantic happy dance every time this money enters my Paypal, because it’s some of the easiest cash I’ve ever earned. Passive income… guys, that’s where it’s at. 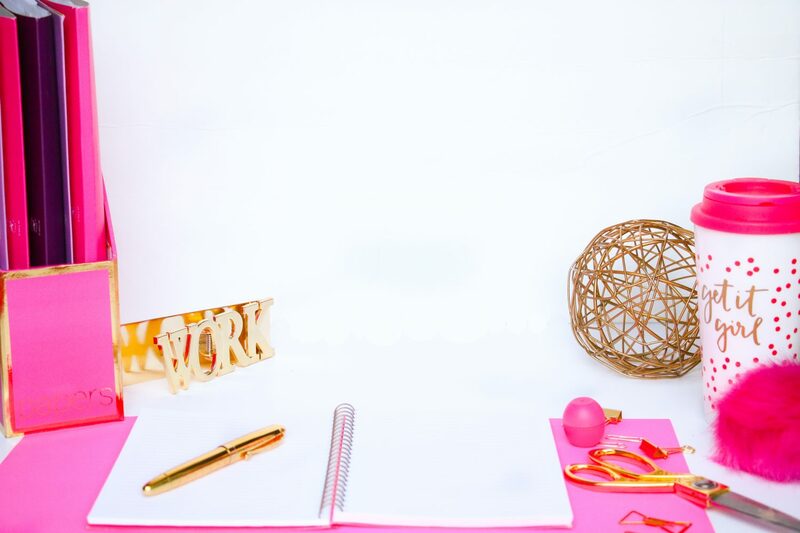 Other bloggers have had a similar degree of success (you can read about them on the course page), but I want to caution you that you shouldn’t expect this kind of massive growth to be the norm! My heightened affiliate income coincided with a lot of other positive changes that were happening (besides the course). For one, it was around the time that I launched my Blogtoberfest series, where I discussed travel blogging and strategies that helped me skyrocket my blog’s success. This brought me a whole new audience and helped me gather a pretty sizeable mailing list interested in my tips and advice. So, remember: my results will not necessarily be yours, but who knows? You could do even better. You never know until you try! So… is Making Sense of Affiliate Marketing Worth it? You are an affiliate marketing beginner, and are keen to start monetizing your site this way. You want a course that teaches you the very basics and then builds from there. You work well with text-based courses and learn well by connecting with others. You have affiliate marketing knowledge, but no clue how to put a strategy together or implement it on your own site. 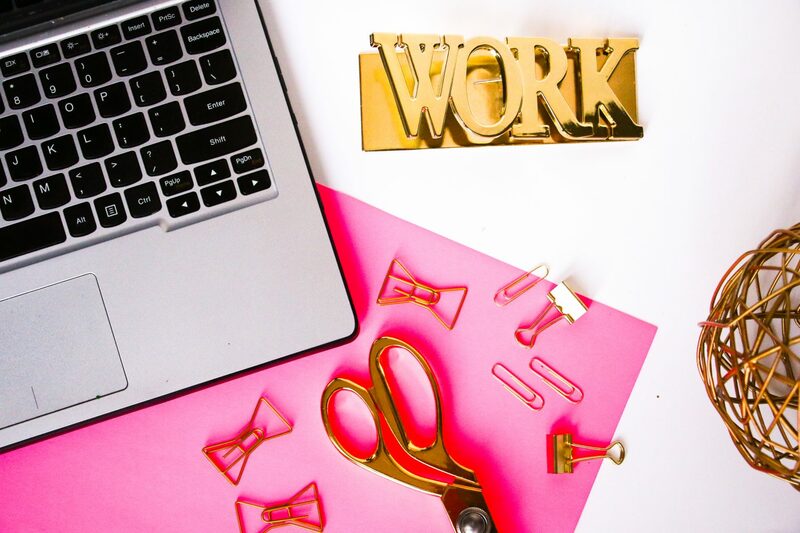 You have begun using affiliate links but aren’t making any income, so you want actionable tips on how to make your first dollar. You have a good grasp of affiliate marketing (what it is, what programs to join, how to add links, etc.) and are already making money from your site. You are looking for travel niche-specific advice. (my eBook might help you there!). The 30 day refund policy. It’s simple – if you don’t see value in the course, you can ask for a refund. Sometimes, the course material just isn’t what you wanted, and that’s okay. This little security blanket is what pushed me to go for it and make the purchase. You really don’t have much to lose. Making Sense of Affiliate Marketing offers many bonuses that I find super valuable. 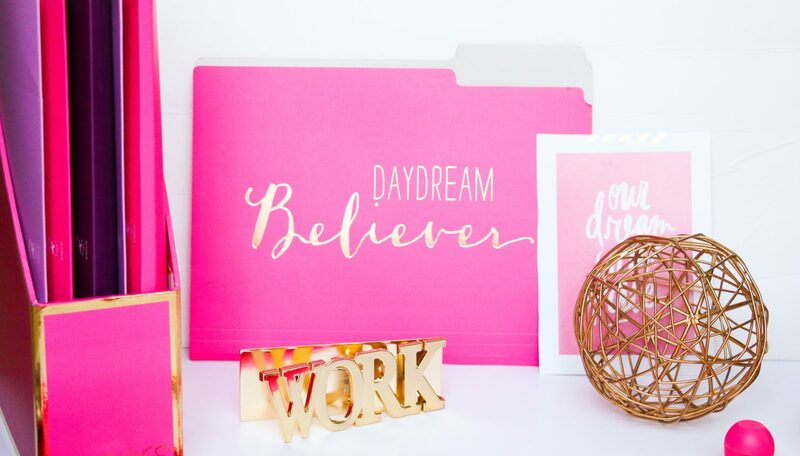 There’s a Pinterest lesson included that helped me loads with my Pinterest strategy, plus a Facebook mastermind group where Michelle regularly interacts with members. I lurk the Facebook group often, and I love it because it always brings in fresh insights about blogging, whether to affirm practices that I’m doing properly or opening my eyes to new ones. It’s a very supportive community, and as a travel blogger, I’m not part of many “general blogging” groups, so this has introduced me to strategies/bloggers from other niches who are VERY valuable resources. Also, from time to time, this is where big bloggers (Michelle included!) will source content for their social media, so that kind of exposure/opportunity is huge. For me, this FB group is one of the biggest advantages of pursuing the course vs. self-teaching, because it’s a benefit you won’t get from any other place. An extra special reason: the course is currently on sale! If you’re looking for a Making Sense of Affiliate Marketing coupon or discount code, use the code FALLSALE2017 when checking out here. Coupon expires October 30, 2017 at 11:59pm. My honest opinion is no. While sure, lots of traffic could help with affiliate marketing success, it’s not the only factor. There are plenty of blogs out there who get plenty of views, but zero conversions. I would say factors like engagement and influence matter far more than simply pageviews as a metric for whether or not this course is for you. But, more importantly, as I stressed before, this course is really best for beginners. What it does a great job at is teaching you how to get into the mindset of an affiliate marketer, and how to be more strategic with the content you produce. In this sense, I feel like this course makes the most sense for people who are newer to the game, simply because they’ll be getting the most out of the information. While you may not start seeing insane results right away, you’ll be learning lots and benefitting a great deal from the Facebook group (in my opinion). Is this course only for those in the blogging/lifestyle niche? This is tricky… Making Sense of Affiliate Marketing is not “niche-specific”. What it does really well is it teaches you the basic building blocks of success, BUT to make it work for your specific niche (whether that’s travel or something else), it requires independent brainpower and strategic planning. 1) The information is all collected here and presented in a way that’s easy to understand and actionable. This saves you loads of time and wading through garbage content (sorry, but true). 2) The course provides worksheets and action items that will guide you through creating an actual strategy (i.e. you’re less likely to just read and not act). 3) Accountability – when you spend money on a course, you’re gonna work harder to implement the new info, simply to ensure that the course is worth it! That’s how my brain works anyway. 4) Course bonuses – the support of Michelle and the Facebook group are really really handy – as are the bonus lessons in the course. These are perks that you simply won’t get from self-research, so it’s up to you to decide whether you want that support network or not. I had done a lot of research prior to my purchase, so while none of the course content was absolutely mindblowing, what it did was give me the guidance and roadmap I needed to create success for myself. This course was the last missing piece of the puzzle for me, and I do honestly believe that if you’re the right fit, it’ll help you too. SO, if you’re still here after that long long post, I hope you found it helpful! Feel free to ask in the comments if you have any further questions, and best of luck in your affiliate marketing journey! Don’t forget: the course is currently on sale! If you’re looking for a Making Sense of Affiliate Marketing coupon or discount code, use the code FALLSALE2017 when checking out here. Coupon expires October 30, 2017 at 11:59pm. I’ve heard you talk about this course time and time again. Thank you for the super thorough review! Thanks, Amby!! The longer I blog, the more I realize that too… that you really do need to invest in yourself and building your skills in order to grow as a blog/business 🙂 Thanks for reading. I am ready to purchase. What is the coupon code? Hi Angela, I’m so sorry! The coupon code was for a specific sale that expired back in January, but I’ve just sent you an email 🙂 Let me know if you’ve received it alright. So is there an active coupon code for this course? Hi Brian, not at this exact moment but check your email! I’ve just sent you some info on how to know when there’s deals in the future. Thanks for the honest review! I’ve been back and forth for awhile as to whether or not to purchase this course. I feel like you in that I am an intermediate blogger and have a good understanding of affiliate marketing so not sure I would get something out of it- also because I’m a food blogger- so glad to hear you had great success! I just purchased! I’ve been debating for a while … our blog isn’t live yet, so I’m hoping this will give us a good footing before we start! Thank you for the review & the coupon code! I would love to read your book as well … If we purchased through your link, could we get access to your book as well? Hey Erica, absolutely! I’ll be sending you an email shortly 🙂 Congrats on the purchase! Hi Christina! Thank you for a great honest review! I am just starting my blog and was wondering if this course would be helpful for me (and it definitely sounds like it would be :)). I saw the coupon code just expired, could you please add me to your Bloggers mailing list in case there is another one you send out. Thanks! Hey Paige, sure thing! Just added you to my list 🙂 hopefully it goes on sale again soon! Thanks for the honest review. I would love to know when another discount code comes up. all that you’re doing–your writing is great! your list that would be great! I’m so stuck between what to do! 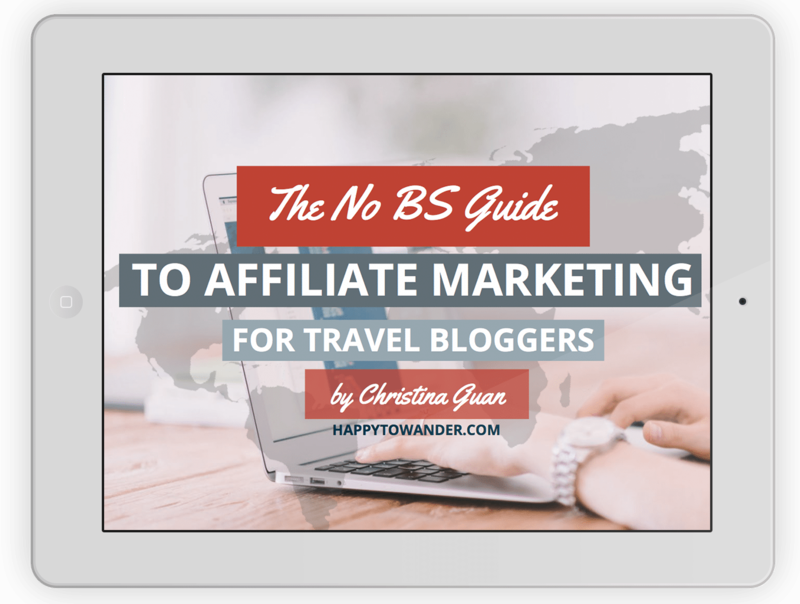 I’m a strong travel blogger so I understand the difficulty of affiliate marketing for us! I’ve never sold a dime and I have about 600 unique viewers a month (my blog is barely two months old to be fair! ), so, do you think for me, I should take Michelle’s course, and then yours, or should I go straight for your book? My goal is to travel and focus on traveling and advising others how to travel full time, with affiliate marketing as one of my main incomes! Hey Yasmin! I think this depends on how much you currently know about affiliate marketing. If you’re completely new to it and are overwhelmed by all the details (e.g. how to get started, where to find programs, how to incorporate links, how to do your disclosure, etc.) then Michelle’s course is awesome cuz it guides you through the beginner steps and gets you in the right mindset for affiliate marketing. Honestly, if you’re uncertain, I’d go for Michelle’s course and see if it helps, since she has a really good refund policy. If you look through it and realize it’s too basic for you then you can always ask for your money back. Hope that helps! Thank you! I decided I will take the course (through you of course! ), but I’m super excited to check out your book! Does the offer still stand of sending you the email once we complete the course, to get your book as well? Thanks for the awesome review! I’m convinced to purchase the course and am happy to use your link! I was wondering if there was a new or updated discount code for the course? Hi Keli, not at the moment, but let me know if you’d like me to email you when a new discount code becomes available! hello, Christina thank you so much for your wonderful review..I am thinking of being an affiliate marketer…so glad I bumped into your review. I t is so informative and clear. please add me to your mailing list cos I want to purchase the course too when the discount code becomes available. Sounds good, girl! I’ll be sending an email your way shortly. Sounds good, Jacqline! I’ll send an email your way very soon. Thank you so much for the detailed review, Christina! I’d love to be in the loop when the next discount comes around. Please let me know and I’ll purchase through your link. What if I’m getting ready to start a blog with YouTube/Facebook/Instagram associated accounts, but haven’t yet? Meaning is this course a good idea if I have zero content or traffic at the moment? I am not a blogger yet. With this course be a good start or should I take a blogging course first? I do know the niche I’m going to blog about. Thank you for you’re honest review. Please add me to your list. Hi 🙂 Great article and very informative! I would like to ask is there a way someone can become a affiliate for this course? and if yes, how/where do we start?! Hi Christina. Thanks for your honest review, it was really helpful. I found your post after the coupon expired. Would you be able to let me know when there is another promo? I’m very interested in buying but am a little strapped for cash, every little bit helps. Thanks & love your blog! Hi! I just started my blog two days ago (yayy me) and i’m still trying to figure things out. Do you think this would be helpful for me? Thank you for the great reviews! Please include me in your email list when the next coupon code becomes available. Thank you! Thank you for your honest review. I just know about the course while searching for opportunity to create my 1st passive income. And suddenly I come to your site. Your review really make me feel excited to try the course. Do you still have the discount code coupon? Please share if the coupon is available.